Scienceworks - Learning through play. - Adventures from where you want to be. 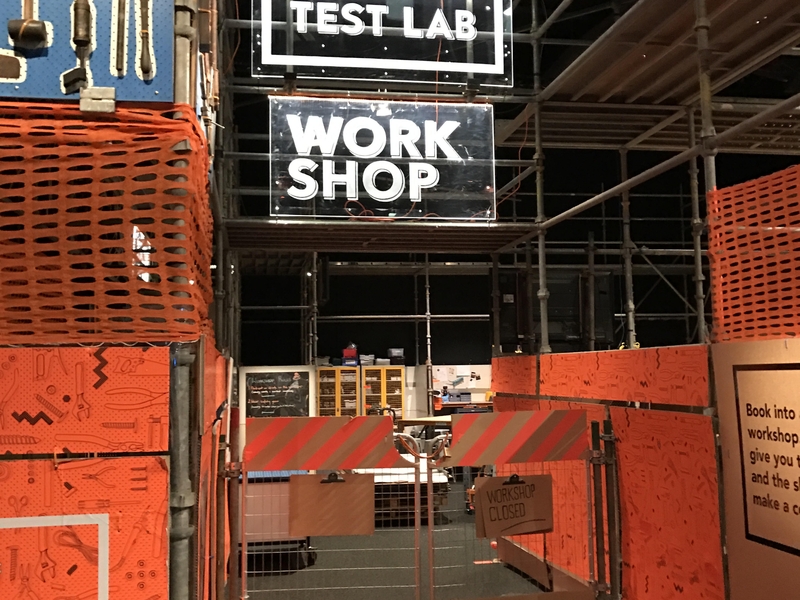 Scienceworks – Learning through play. Scienceworks, A revolutionary world class science museum, that opened in 1992 is the perfect place to help foster your children’s love of science, In a great fun hands on way. During the recent school holidays we decided to spend a day at science works in Spotswood Melbourne. This museum Overlooks the Westgate bridge, and is also home to the planetarium and a lightning room, and the grand old Pumping station. 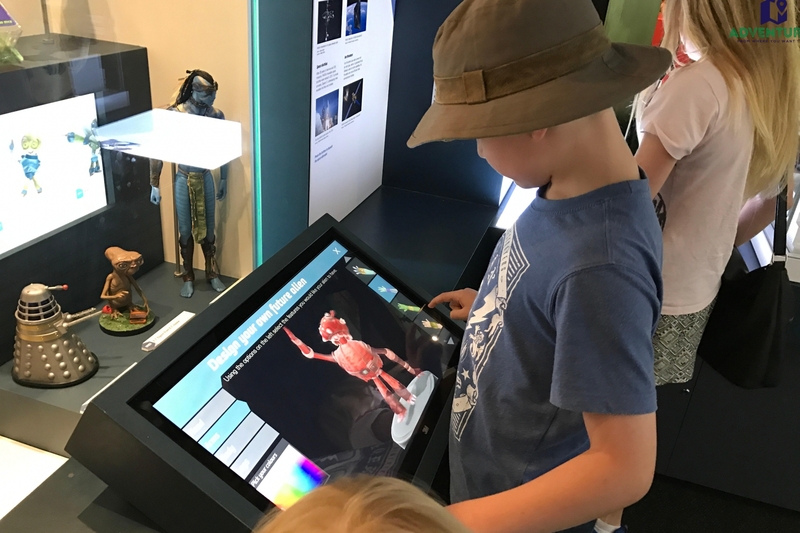 There is plenty to see at no additional cost at Scienceworks, however the lighting room and planetarium do have additional costs. Scienceworks is free for all children under 16 years old, and only $14 for Adults. The planetarium and lightning room are either $6 for one, or both for $10. Scienceworks also has a variety of different exhibits that change. At the moment until 21st May it is also home to the Test Lab, a great hands on experience perfect for older children to try and make various things. There is a small preschool area, and a larger area for older children. Where they can work together, parallel, or on their own to problem solve and create. Another great exhibit this month is Neon Nature. 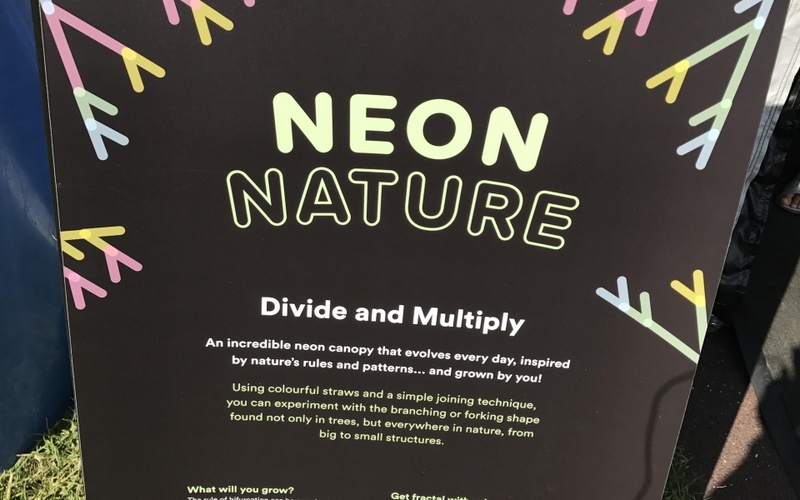 Which is a neon canopy that changes and evolves every day inspired by nature’s rules and patterns, created and grown by the children. This runs until the 17th April. In Neon nature the kids used simple neon coloured straws to experiment with the shapes found in plants, trees and everywhere in nature. The children will learn about bifurcation, the name of the branching pattern that is found in nature, they will learn how it is not only found in plants, but also in the human body, river systems. Year round there are some main exhibits, Sportsworks, Think ahead and the Nitty Gritty super city. Think ahead is all about the past, the present and the future. Sportsworks is all about how your body moves and the The nitty gritty super city is a mini-metropolis which allows the children of all ages to be the builders, musicians, cafe owners, sailors, with things to push pull and investigate. Pingback: Sportsworks - Adventures from where you want to be. Pingback: Scienceworks - Nitty Gritty Super City - Adventures from where you want to be. Pingback: Scienceworks - Think Ahead - Adventures from where you want to be. Pingback: MADE Ballarat - The Museum of Australian Democracy at Eureka. - Adventures from where you want to be.